Mount Bierstadt rises 14,060' in the Front Range near Georgetown, Colorado. The panoramas from the top are incredible, the views of Grays and Torreys across the valley are motivating, as well. 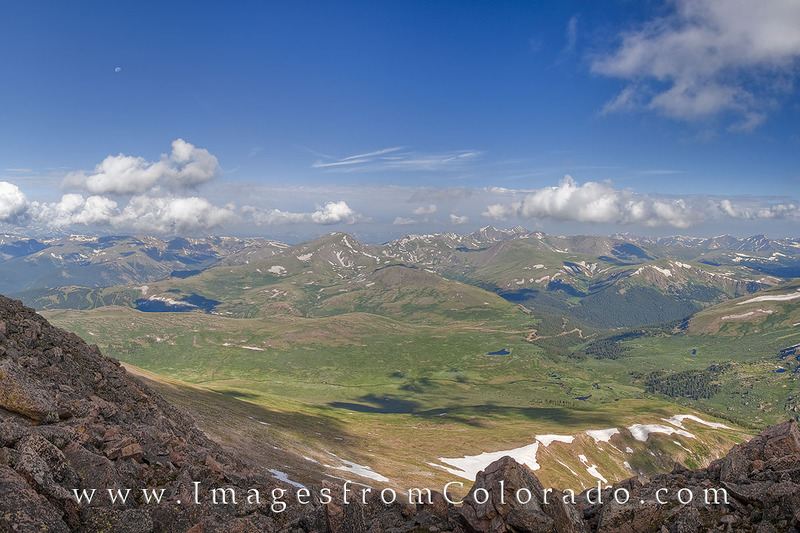 The trail is relatively easy, gaining only around 2,850' over 3.5 miles on way.This photograph of the well traveled 14er was taken on a perfect July morning. Photo © copyright by Rob Greebon.